The other day I packed the car to drive back to Sydney, and as I packed, I thought back to my childhood and how simple it was when going away. All mines in Broken Hill would close for the month of December; then Broken Hill up and moved to Adelaide. For those working at the Zinc and NBHC mines, there was a special summer holiday camp similar to those in the Carry On movies. The North Mines employees moved to Glenelg and into every available boarding house. When walking down Jetty Road, it was just like walking down the main street of Broken Hill. My mother would build up the back of the car so my brother and I would have a bed to sleep on, seatbelts were not even a consideration. Dad would finish work and be home on the dot of twenty past four. 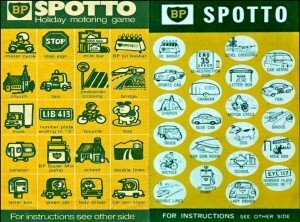 Mum would have filled the car with petrol; the Thermos would be in the picnic basket, and she would have collected the game cards called ‘Spotto’ from the BP garage. My brother and I would get a few games in before dark and then down to sleep for the rest of the journey. I suffered terribly from car sickness, and so the first stop would be a hotel along the way where Mum would buy a brandy and soda for me to sip. Now to all those throwing their hands up in horror at the thought of giving an eight-year-old alcohol, that was the norm, and I am pleased to say I do not like the taste of alcohol, argh bring back the parenting of the 50’s and 60’s. At the end of the month, everyone would make the return trip to Broken Hill and go back to work only to make the round trip again the following year. What forced me to think about the simplicity back in the day? Well as I was packing for the drive, I scouted around for my fast charger for iPad, iPhone, Apple Watch and laptop. Finally had everything together and packed in the car. So go to drive off, and the GPS asks me if I want to add a destination and would I like to add waypoints, the screen then asks me if I wish to pair my phone via Bluetooth and I must search for USB cable to enable power. Then the radio needs to be tuned. I was driving down the road stopping and starting, and I think it had taken a good twenty minutes before I had all my disruptive technology enabled and ready for the drive. 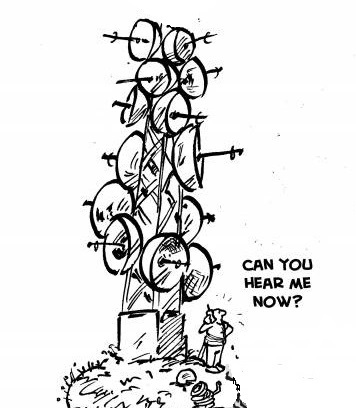 While I complain, it is only for a moment as I do love the fact that the GPS takes me straight to my final destination without fuss or bother and I can sing my heart out to the old favourites that would have been playing in the car with Mum and Dad.